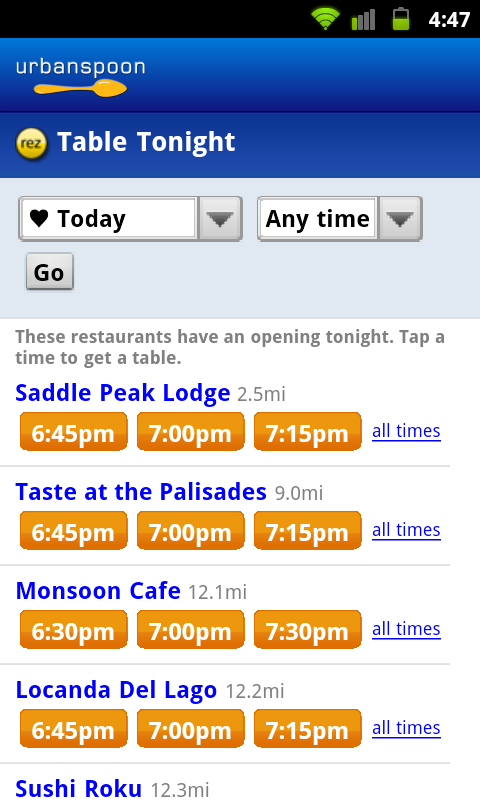 Urbanspoon, the popular restaurant review website, has had its Android app treated to a huge update today. 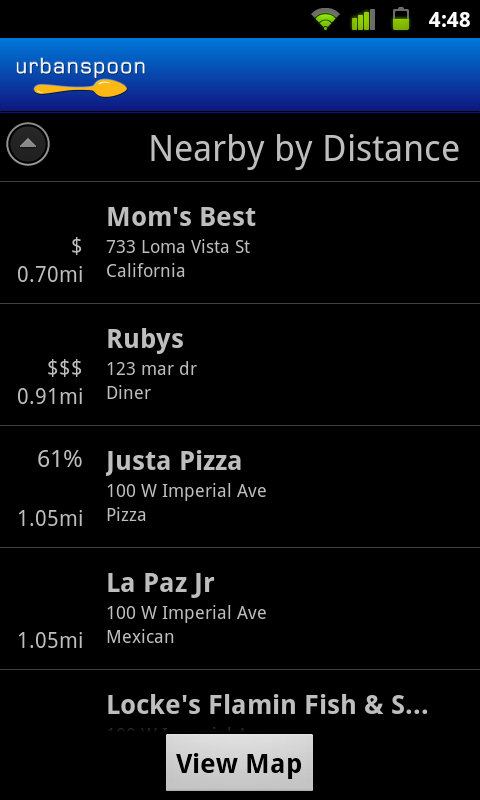 The app - which helps the user find nearby local restaurants using filters such as cost, distance and type of food - can now do much, much more. 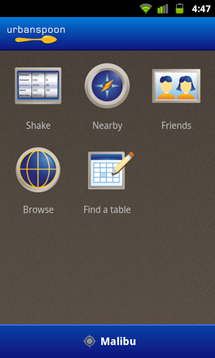 The update features a new home screen, and also shows photos and reviews of individual restaurants. 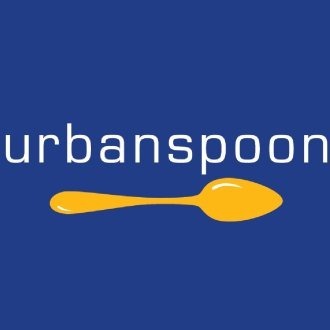 In addition to letting users sign up for an Urbanspoon account and write their own reviews, you can now also book reservations (although I could not do this in the area where I live), and connect with Facebook friends. 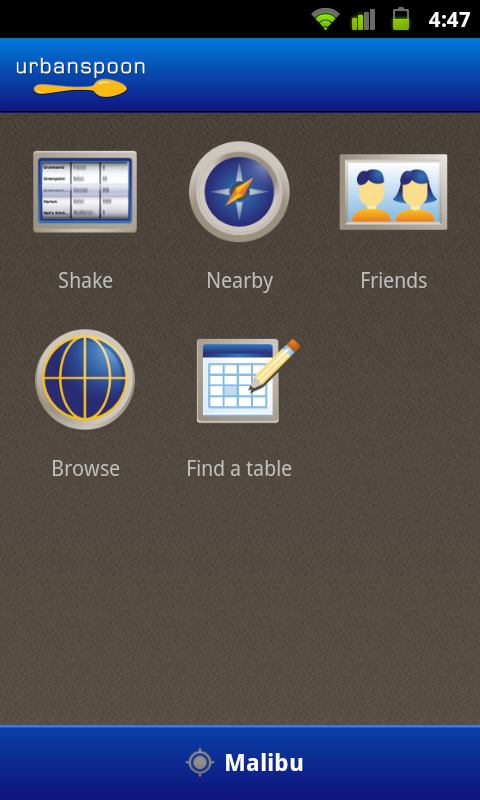 Oh, and all those classic Urbanspoon fans, don't worry: you can still shake your Android handset to find a restaurant nearby! 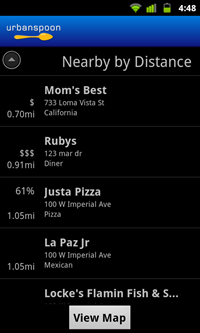 Overall, I am seriously impressed by this update, but also kind of wonder what took these guys so long - many of these features were long overdue. Anyway, for those interested, hit the source link or scan the QR code below!